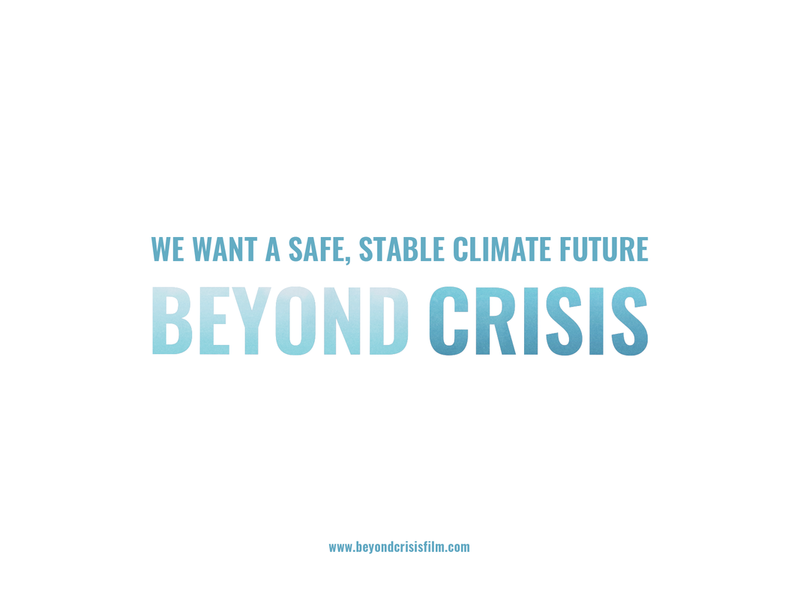 ​Beyond Crisis is part of a growing movement of people who recognize that today's climate system is not safe and stable as it once was. 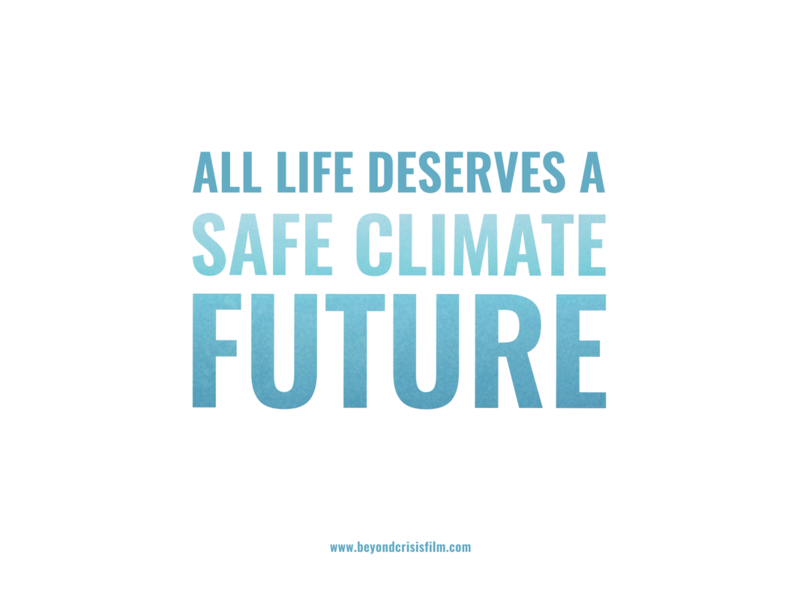 Instead, our climate has been dramatically disrupted by decades of rising greenhouse gas emissions (GHGs) – threatening the very safety of society today; of future generations; and sadly, of many plants and animals on our shared planet. We stand at a crossroads, with an unstable and dangerous reality ahead if we don’t work much harder to build a safe climate tomorrow. 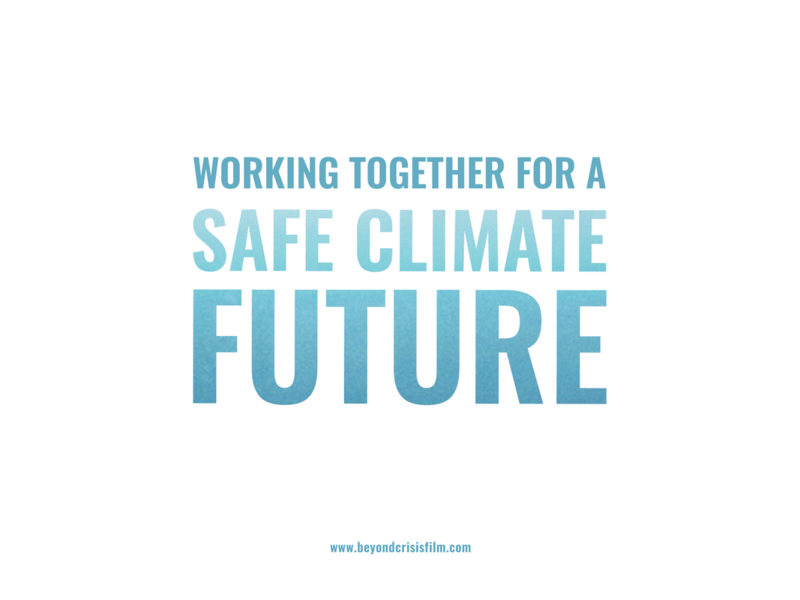 Our work and our passion is to encourage communities to come together to better face this difficult reality, knowing that together we CAN build towards a far more sustainable, safe climate future. 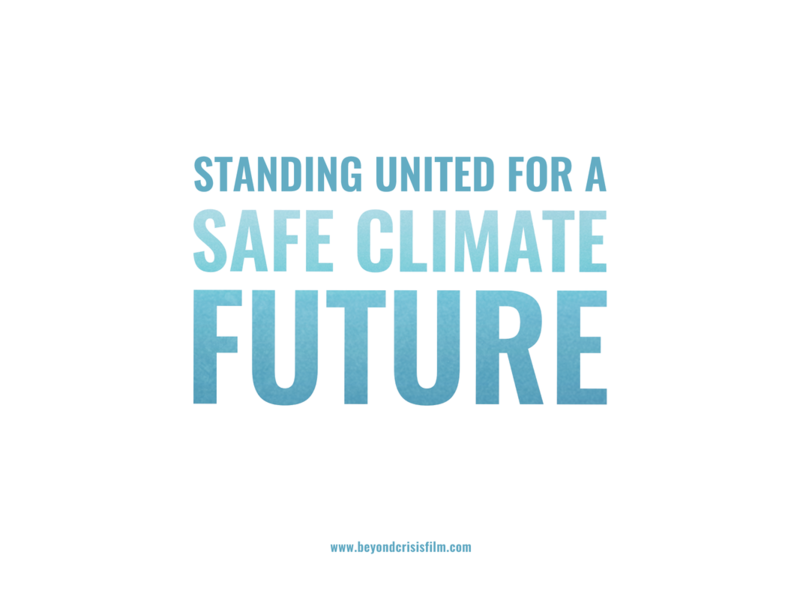 We do this by encouraging deep and transformative conversations around what we must do to return our global climate to a “safe zone” once again - and how our communities can be involved in leading this transformation. Clean energy and climate solutions will be the way of the future – the question is, who will lead this future to ensure it is just, and how can we get it started? We each have a role to play in building the far safer, healthier, and more caring future we so urgently need - a world we can truly be proud of. Beyond Crisis is helping to lead this change by exploring exciting visions of leadership and transformation with our communities! 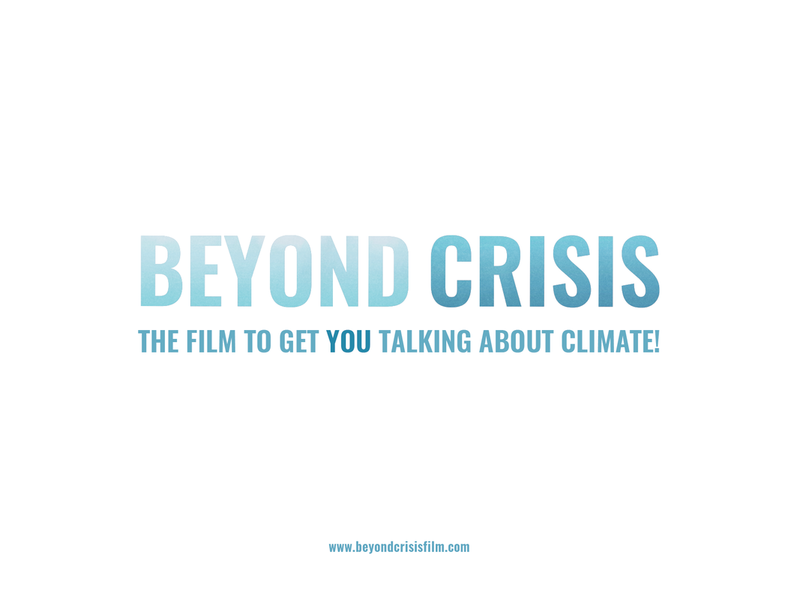 License the film and use the free resources below to supercharge climate engagement in your community! Download the official Beyond Crisis poster for printing / advertising your event (a version without the festivals listed is here). 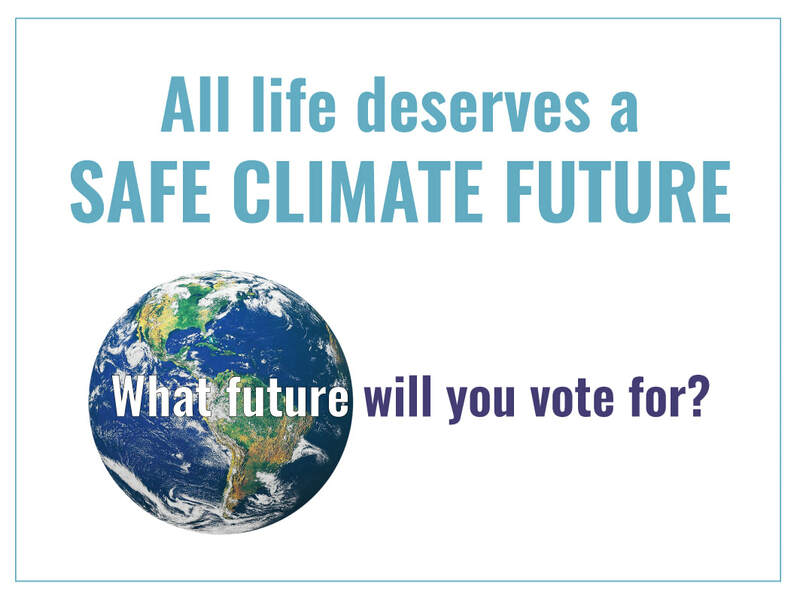 Download an editable Photoshop template for the Safe Climate Future action poster (above left) and official poster (above right), allowing you to customize the text to be specific to your event. *Note that you will need Adobe Photoshop to edit these files. 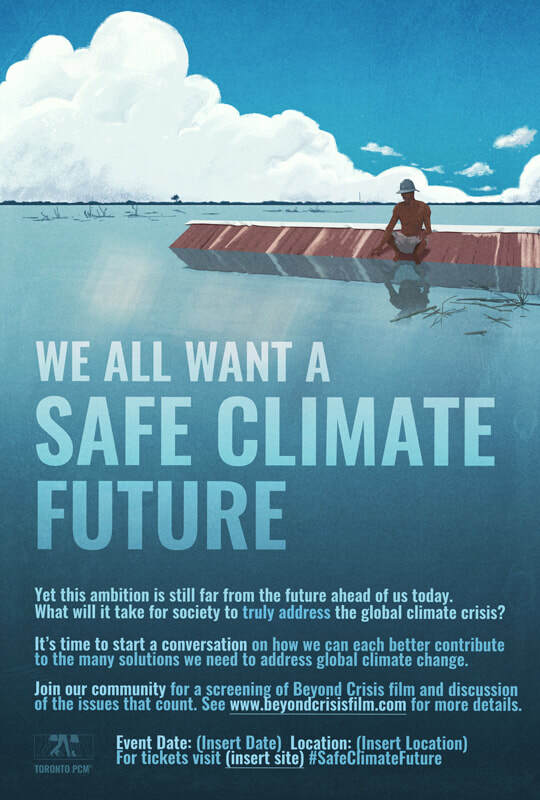 If you don't have Photoshop you can also download a high-rez JPG image of the Safe Climate Future poster, omitting the final paragraph to add your own custom text. 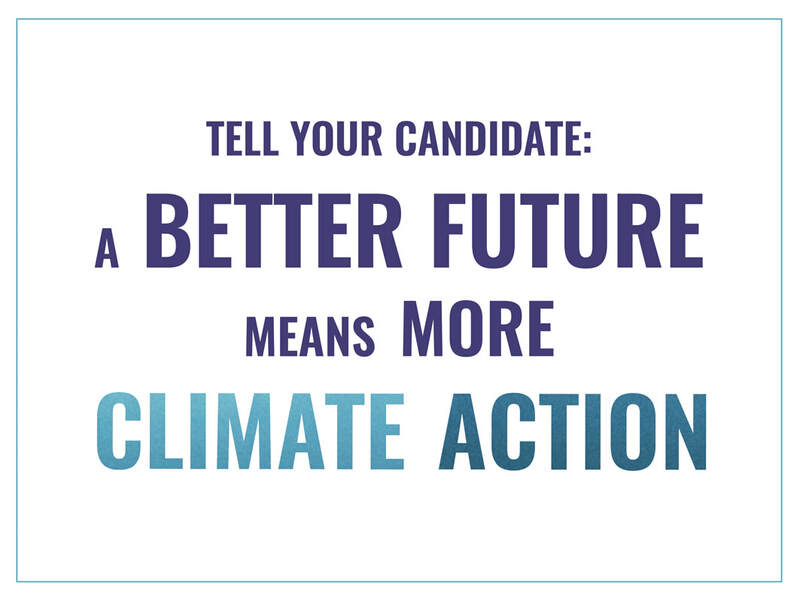 Have an upcoming election and want to let your candidates and community know climate action matters to you? 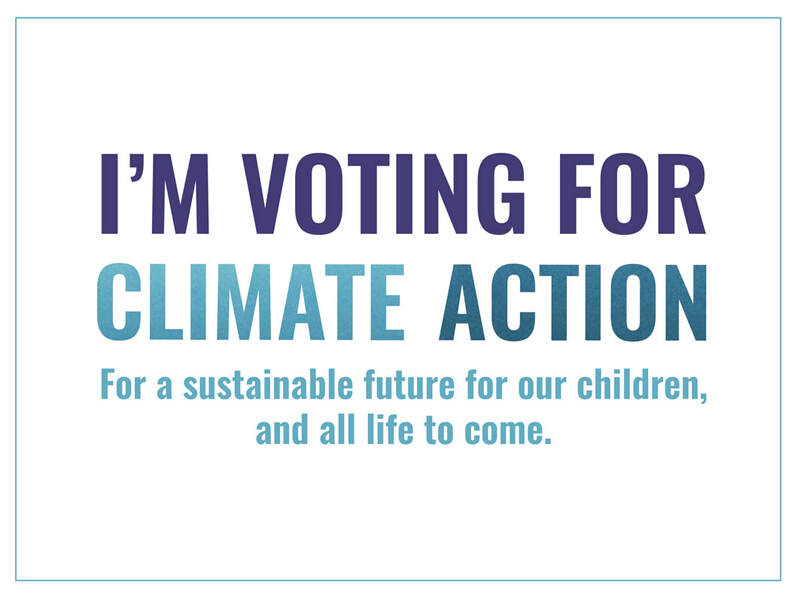 These free lawn sign templates can be downloaded and printed at your local print shop as a powerful public message on your desire and commitment to action. All templates are non-partisan, and can be used both prior to and after elections. If you don't have a lawn to put one up in, these can also make fantastic window displays, or be printed and put on your door, community board etc. Note that these signs do not endorse any specific political party or affiliation - they only endorse climate action! 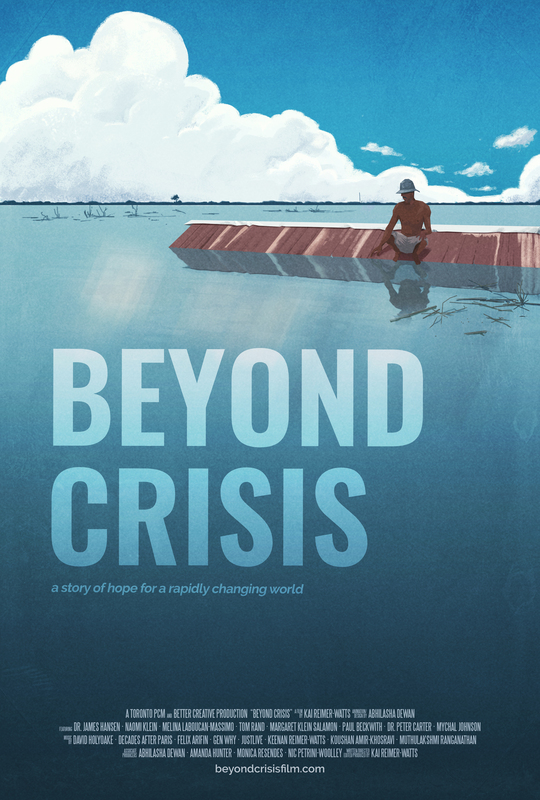 Find some sample resources below from the comprehensive Beyond Crisis Film Package, included here as free examples from that kit to help in planning your event. For access to the full Film Package, license the film through our store here. 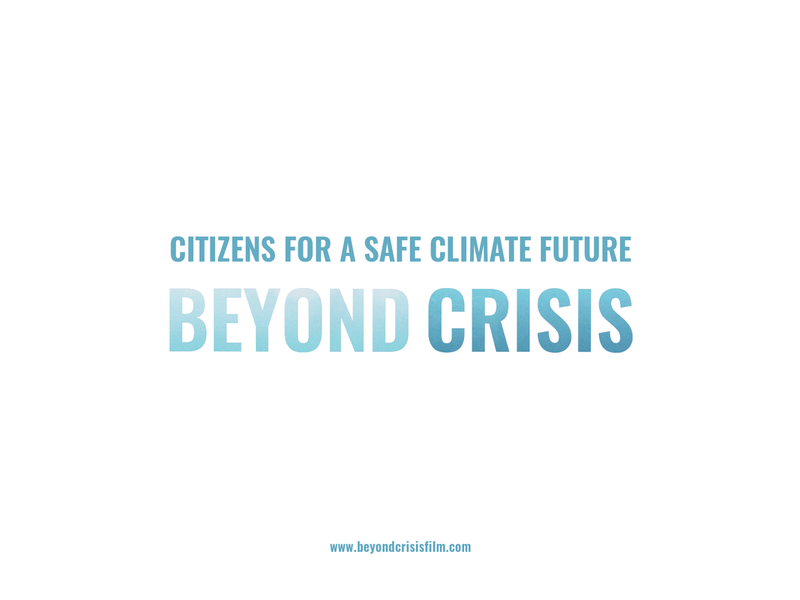 The Beyond Crisis USB is an optional add-on to licensing the film, containing both the film, related videos, as well as conversation materials. Purchase of the USB provides a handy way to play the film offline, without any need for an internet connection. For more information see the frequently asked questions under our FAQs page here. You can see a photo of the USB, including stylish "maple seed" screenprint, blue wrist strap and Beyond Crisis case below. Purchase the USB along with a film license through our store page here.